Product prices and availability are accurate as of 2019-04-11 03:15:50 EDT and are subject to change. Any price and availability information displayed on http://www.amazon.com/ at the time of purchase will apply to the purchase of this product. The Fluke Networks LinkRunner network multimeter portable troubleshooting device is used for testing and verifying the physical and data link layers of a network. It performs automated connectivity tests to help identify network problems. The device identifies cabling infrastructure, including length and type of both structured or patch cables, to help uncover potential issues. It verifies network drops and identifies link types, device capabilities, and link speed to help diagnose and solve complex issues, and it tests connectivity to network resources and response time to determine whether a PC network interface controller (NIC) is responding. It has two buttons for navigating the menu options on the LCD interface. The LinkRunner network multimeter comes with a main wiremap adapter, two AA batteries, and instructions. This portable network testing device is suitable for use by network technicians to verify network connectivity of local-area networks in environments such as office buildings or schools. Portable networking devices are used to test and monitor the performance of wired and wireless networks in large organizations. Local-area networks (LANs) are made up of wiring, computers, servers, printers, phones, software applications, and networking devices in a limited geographic area such as an office or school. A wide-area network (WAN) contains similar devices and wiring, but encompasses a broad area, linking businesses or organizations across regional or national boundaries. Network engineers use portable networking devices to pinpoint connectivity or performance issues on a network, and to diagnose and solve network problems. Networking devices help troubleshoot copper or fiber optic cable wiring connections and wireless network infrastructure, ensuring that cables are connected and that network devices are working properly. They measure network performance and the network's ability to transfer data according to the organization's needs, and they can verify that software services within a network are available and responsive. 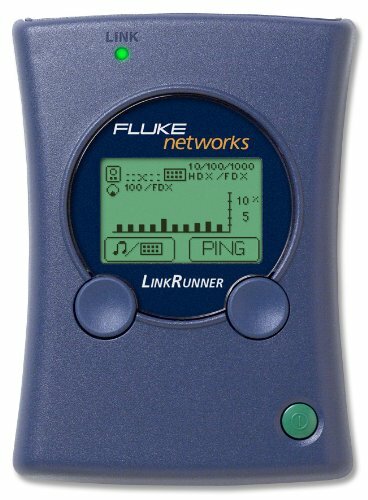 Fluke Networks manufactures tools for network infrastructure installation, testing, certification, and troubleshooting, in copper, fiber, and wireless networks, with its tools widely used by contractors, enterprises, and communication service providers. The company, which operates globally, is based in Everett, WA.